Definition at line 475 of file rpcndr.h. Definition at line 485 of file rpcndr.h. Definition at line 488 of file rpcndr.h. Referenced by NdrFullPointerQueryPointer(), NdrFullPointerQueryRefId(), and NdrFullPointerXlatInit(). Definition at line 484 of file rpcndr.h. Definition at line 479 of file rpcndr.h. Referenced by NdrFullPointerFree(), NdrFullPointerInsertRefId(), NdrFullPointerQueryPointer(), NdrFullPointerXlatFree(), and NdrFullPointerXlatInit(). 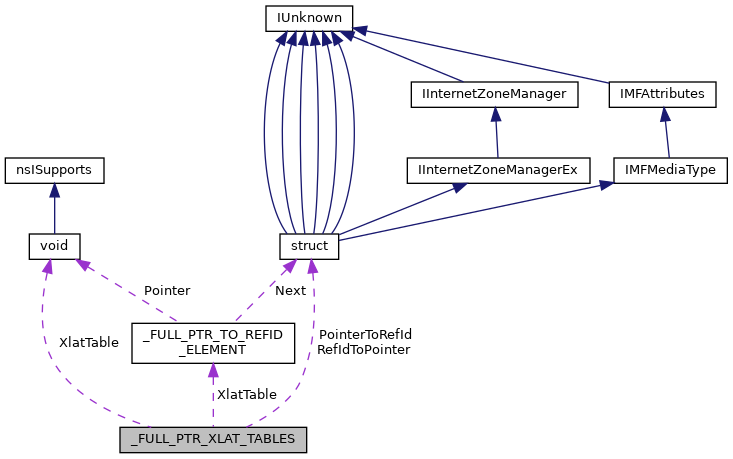 Referenced by expand_pointer_table_if_necessary(), NdrFullPointerFree(), NdrFullPointerInsertRefId(), NdrFullPointerQueryPointer(), NdrFullPointerQueryRefId(), NdrFullPointerXlatFree(), and NdrFullPointerXlatInit(). Definition at line 478 of file rpcndr.h. Definition at line 489 of file rpcndr.h. Definition at line 477 of file rpcndr.h. Definition at line 483 of file rpcndr.h.